We use state-of the-art technology to offer excellent quality and variety! Throughout our 30-year history in the nuts sector, our company has consistently invested into infrastructure. 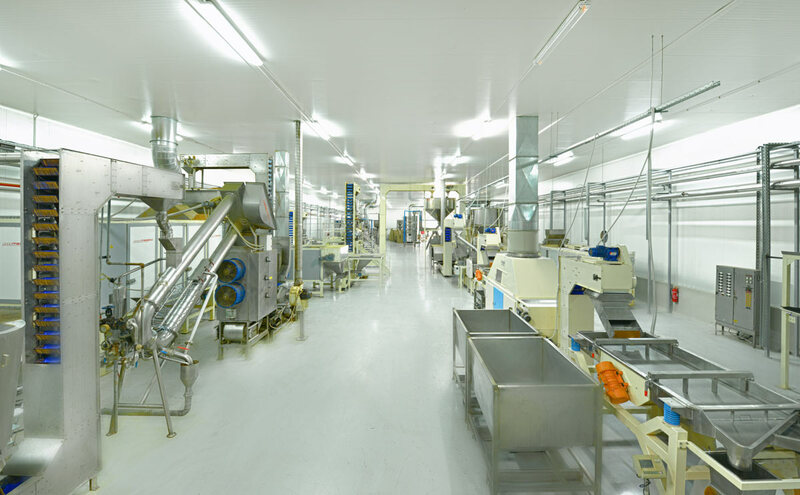 This way, we manage to modernise our facilities and machinery as well. 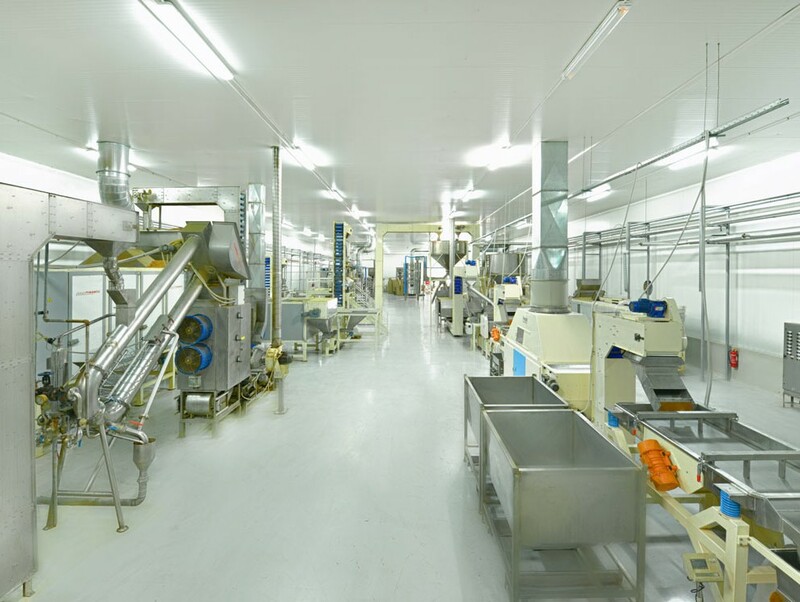 The processing line for nuts and almond/walnut products is equipped with state-of-the-art technology. Crushers, sorters, volume meters, ovens, cutters and other modern nut processing machines compose a production line of great potential. Some of our products are almonds available as peeled or unpeeled, raw or roasted, sliced or slivered, chopped in several sizes and powdered (grated almonds). Peanuts, hazelnuts and other nuts are also available in the above forms. This way, we have a great result both in terms of nuts quality and product range available in the Greek market and abroad. And we are able to supply our full range of high quality products under guaranteed health and safety conditions. Our company holds an ISO 22000 certification which ensures the consistent quality and operation under strict standards both for the production and distribution of goods. Choose our products and taste the difference!